You’ve just visited Grand Place and stood in awe of the magnificent architecture, jostling with sneaker wearing tourists. You know to steer clear of overpriced restaurants and tasteless food so abundant in the tourist centre, but you still need to eat! So, where do you go? My advice is head to Baogo. 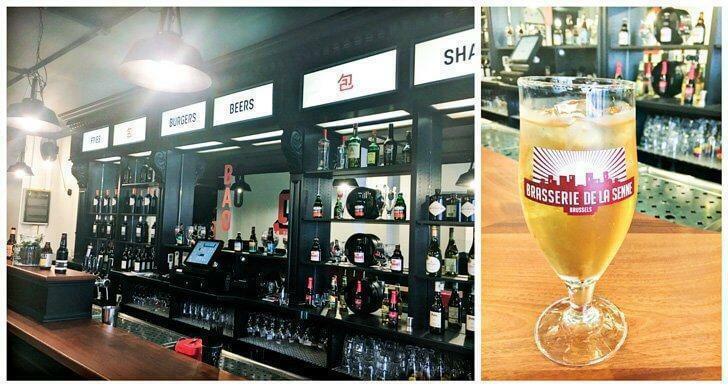 This family-friendly restaurant in Brussels centre offers a clean and chic design, with friendly service, and a straightforward menu with some great beers and ciders. The added bonus is food with flavour! 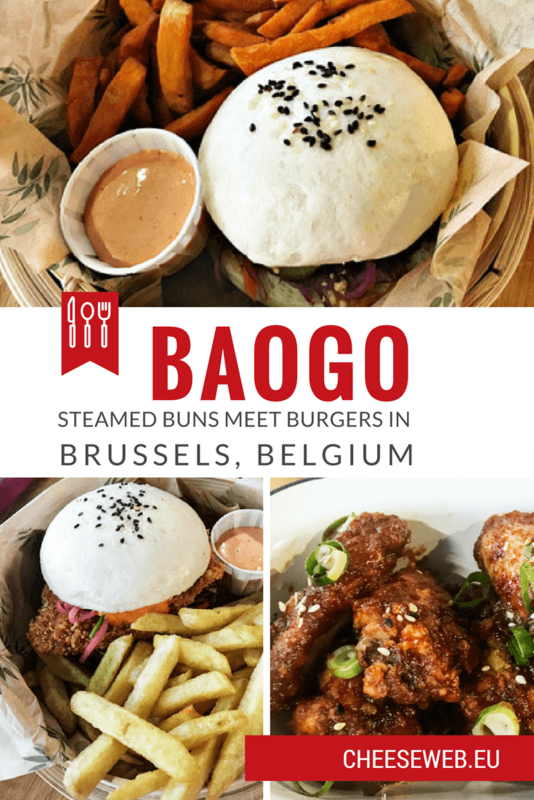 For the first time, Baogo introduces the concept of Bao to Brussels. It’s about time as Bao restaurants are popping up all over international cities like New York and London. A Bao is a fluffy steamed bun with delicious fillings. The concept of a bun, steamed in bamboo baskets, comes from Taiwan and China. The original filling was pork with salad and a generous sprinkling of peanut powder. Baogo takes the concept a step further and serves its Bao with chicken, pork, beef, prawns, salmon, and even tofu for vegetarians. All the Baos are served with a choice of sweet potato or French fries. We visited Baogo one rainy July evening to try some Bao and were pleasantly surprised by the selection of drinks too. The list is not long, but it was interesting. There are some excellent, unusual wines, gin and tonics, and both draught and craft beers. I was happy to see Somersby Cider on the menu and promptly ordered it. My other half chose a craft beer (Mikkeller) and was pleased with its delightful roastiness. Baogo restaurant near Grand Place in Brussels has an excellent selection of drinks at the bar. I decided to go for the classic and order a pulled pork bao burger served with a side of sweet potato fries and chilli mayo. The Bao was a nice, white, fluffy steamed bun containing pork filling with pickled cucumber and crushed peanuts. The pork was delicious after marinating and slow cooking, and throughout the bite, there was an equal bun to meat ratio. Since the bun is more like an open burger and less like a traditional Bao, which is closed on one side, you have to make sure the pork, cucumber, and peanuts don’t fall off the bun. The sweet potato fries had a nice bite, and they paired well with the delicious chilli mayo. My order cost 12 euros, a little on the steep side, but it is a meal by itself. My other half asked for a panko chicken Bao burger which was basically a chicken patty, fried with panko breadcrumbs, served with classic potato fries. The chicken had a nice crunchy spicy deliciousness and, just like the Bao with the pork filling, the last bite also had the bun and meat in equal proportions. We also tried some side dishes like chicken wings and slaws. The chicken wings were finger-lickin’-good, and the slaws had a nice crunch and flavour with an Asian inspired dressing. Mind you, this can be quite spicy, but you can always ask the chef to tone the spice level down. Red cabbage and Asian slaw at Baogo restaurant in Brussels centre. Who would have thought a few years ago the burger would be completely reinvented in Brussels? From being served at Oscar parties to star chefs designing gourmet versions, burgers have come a long way. The Bao is a version of the burger with a soft, delicate steamed bun and appetizing fillings. 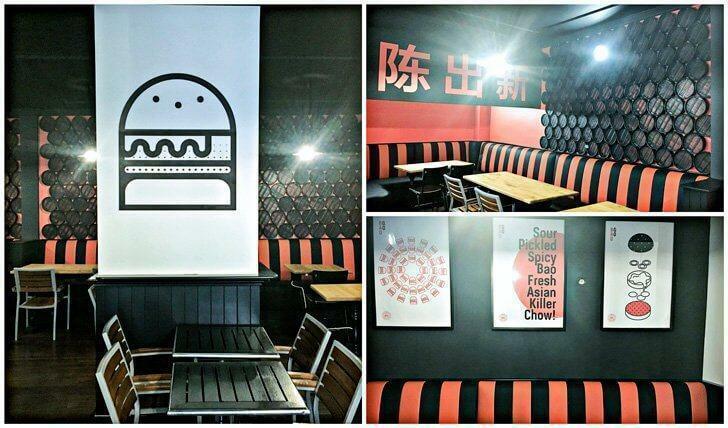 Do enjoy it at Baogo as they continue expanding their menu. 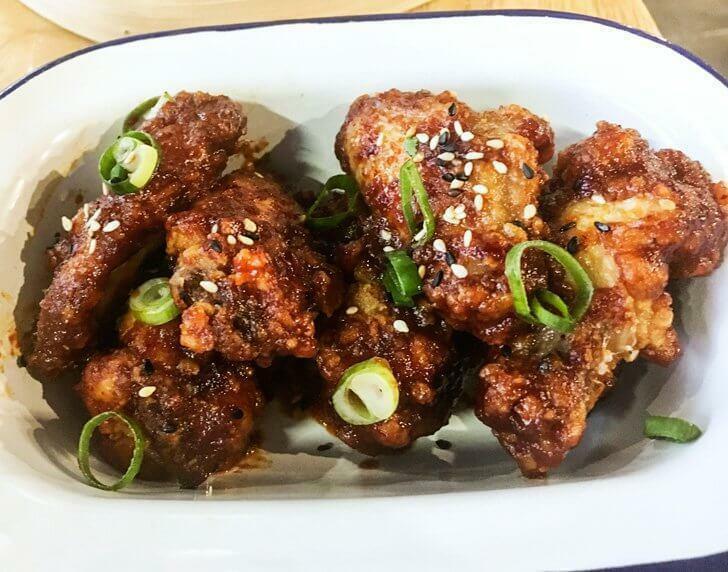 If you are not in the mood to go out, you can enjoy it at home through Deliveroo. 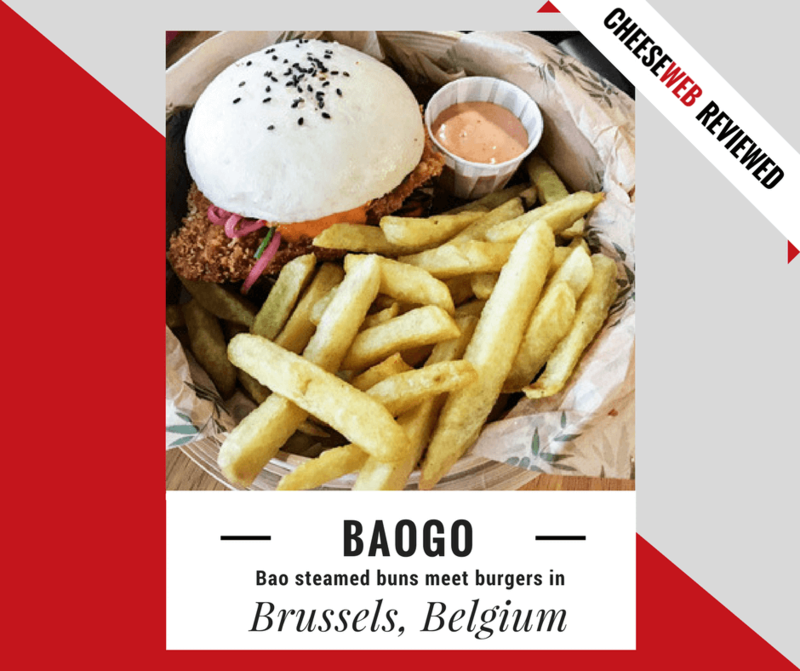 CheeseWeb would like to thank Baogo for inviting Monika to sample their menu. As always, all opinions remain those of our writers.